Christina (CJ) Juhasz is the Chief Investment Officer of Women’s World Banking Asset Management. 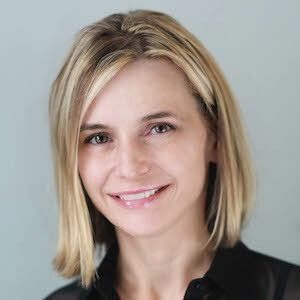 She has worked for the organization since 2007, managing the Capital Partners Fund, directing equity investment into Women’s World Banking’s network members and other women-focused microfinance institutions, in order to provide responsible growth capital and demonstrate the business case for investing in women. Prior to joining the organization, she worked for the Deutsche Bank, Merrill Lynch, and the U.S. Army. CJ holds a B.S. from the United States Military Academy (West Point) and a Master’s in Business Administration from Stanford University Graduate School of Business. She is also a 2013 Eisenhower Fellow. Behind the Most Successful Microfinance IPO in India’s History: What does gender lens investing have to do with it? The recent domestic IPO for the Indian microfinance firm Ujjivan far exceeded the domestic-only IPO record set by another microfinance firm just days earlier. As a $50 million inclusive finance company focused on women in the lowest economic strata, Ujjivan's success is a powerful statement about the value of serving low-income women with financial services, and the ability of mission-aligned investors to help them achieve impressive returns, both social and financial.